Carey Moving Eclipses the Competition! You have probably heard by now that there is going to be a total solar eclipse on Monday, August 21st. This eclipse will be visible by the entire contiguous United States. The last time this occurred was June 8, 1918. 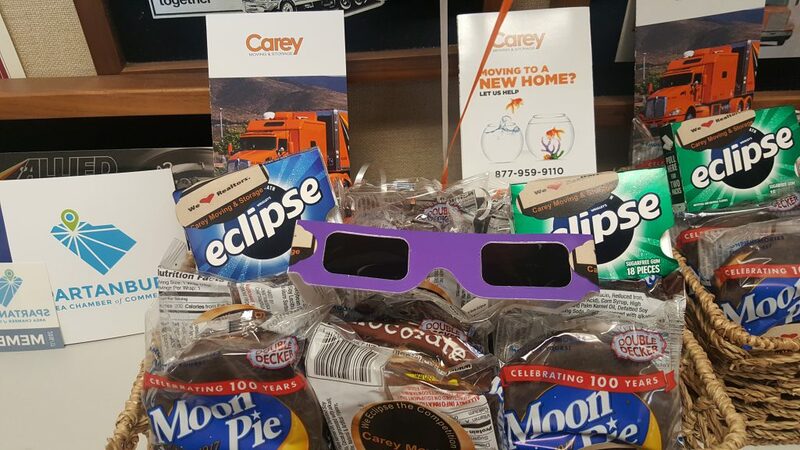 At Carey Moving and Storage, we saw this as a unique event and wanted to share in the rare eclipse fun with our local real-estate agents in Spartanburg, Greenville, and Asheville. We were able to visit 38 offices and share treats that were out of this world! 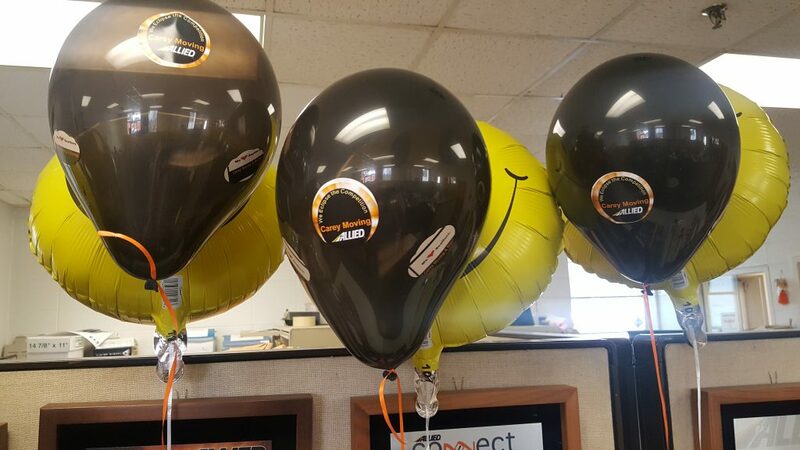 We think we eclipse the competition with our exceptional customer care and professional moving services! If you want to know when the eclipse will be visible where you live, check out this Eclipse Map. Don’t forget to take all safety precautions if you want to watch the eclipse. We highly recommend you read How to View the 2017 Solar Eclipse Safely put out by Nasa. Have fun! 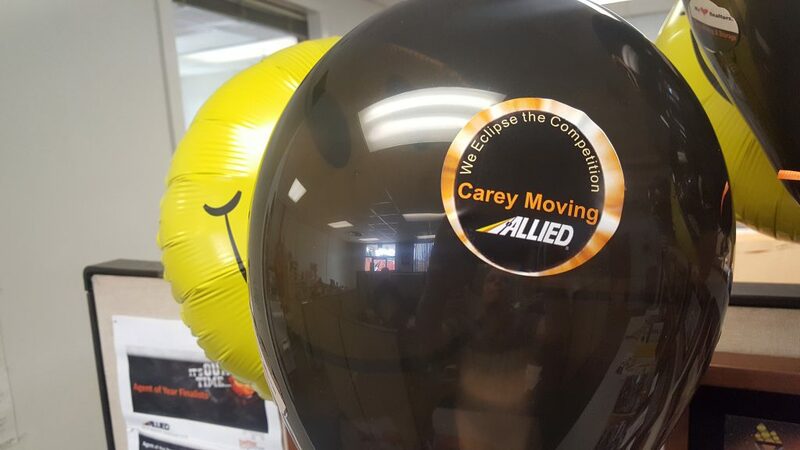 This entry was posted in Uncategorized and tagged Carey Moving and Storage, eclipse on August 16, 2017 by cadmin.